August 8 ‑‑ The office of Shelby County Trustee David C. Lenoir, the Shelby County Land Bank, and Glankler Brown law firm are partnering to present a “Real Estate Road Show” starting later this month. 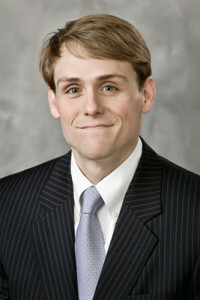 Attorney Hunter Humphreys, Jr. will serve as a panelist at the event. The goal of the Trustee’s office and the Land Bank is to focus the attention of real estate investors on the growing portfolio of both county-owned properties as well as those currently being marketed through the Land Bank, said Trustee David Lenoir. Properties include both raw land and those with structures. Public awareness of the tax sale process and the Land Bank’s online mapping capabilities can only help increase the number of bidders, Mr. Lenoir said. For that reason, the event could be of interest to local real estate agents, appraisers, builders, property investors, bankers and even nonprofits looking for affordable property for themselves or for programming purposes. Staff from the Trustee’s Office, Shelby County Land Bank, and Glankler Brown will conduct the first of several community-wide Real Estate Road Show forums Aug. 16 at the Memphis Area Association of Realtors, 6393 Poplar. The 90-minute session will start at 8:30 a.m. with coffee and light refreshments. A second event will be held Sept. 18 starting at 10:30 a.m. at the Benjamin Hooks Central Library, 3030 Poplar. The presentation will be to the Community Alliance for the Homeless but is open to general public. Both events are free but space is limited. To RSVP, please call 432-4884.